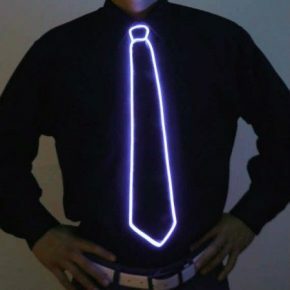 You’ll be in the limelight — or blue, red, or orange light — at the next fancy party you go to when you’re sporting a light-up tie. 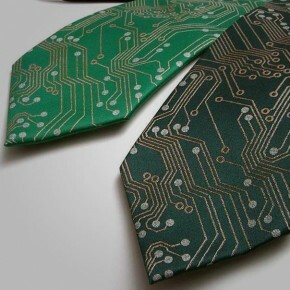 Available in eight different colors, these ties are powered by efficient EL wire, so you’ll keep glowing all night long. 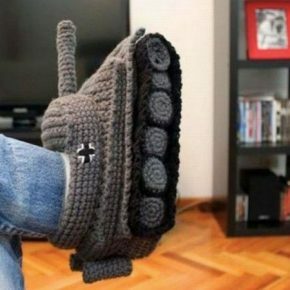 Here’s the cool part: these slippers look like a freaking Panzer tank, and that’s awesome! Here’s the bummer: as of right now, the only thing for sale is the crochet pattern. So if you’re a WWII German military vehcle-lovin’, crochet-patterin’ son of a gun, this will be right up your alley! 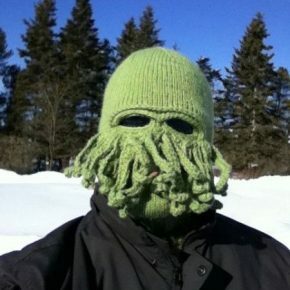 Cthulhu, that cosmic, squid-faced monster, is ready to keep your head warm the next time you hit the slopes. This homemade mask will fit most males, and is super comfortable tow ear. And as the High Priest to the Elder Gods would say, unglnu’nph k’lyeh r’wnglua hngilu’phth’n. Am I right? Whether you’re at the annual chili cook-off or on a long road trip with friends, these gas neutralizers will help you filter your flatulence. Simply peel off the adhesive, stick ’em where the sun don’t shine, and let ‘er rip. Comes with five saving graces. Do you know what a baby shark is called? It’s called a pup. 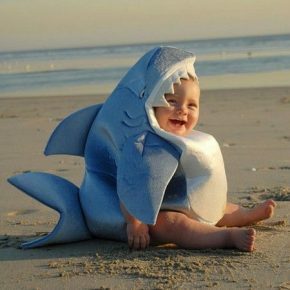 Do you know what a baby human in a shark costume is called? Hilarious. This cute shark romper is easy to put on even the most aggressive of children, and will make for some side-splitting laughs. The Big Apple can be a scary and confusing place. If you’re a woman new to the big city, these tights will help guide you with a map of the 4 and 5 lines printed on them. Be forewarned, however: it may give people another reason to stare at your legs. Did you know that the character of Chewie was inspired by George Lucas seeing his dog Indiana sitting up on the passenger seat of his car? 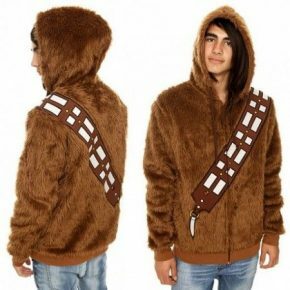 So really, by wearing this hairy hoodie you’ll make yourself look like George’s dog. And yes, Indiana Jones was also named after the dog. Drinking when it’s cold out can be rough. A good beer is ice cold, and gloves are too clumsy to hold on to a bottle gracefully. 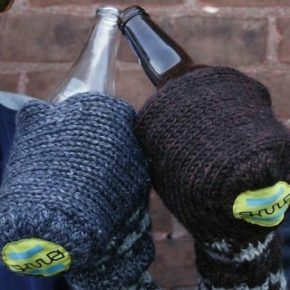 This is an problem that the Scandinavians have solved with this beer koozie glove. Simply pop your beer in, and enjoy the brew without the brr. 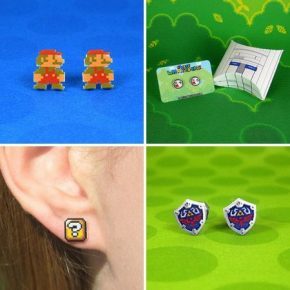 Wear your geekiness on your sleeve – or your ears – with these Nintendo-insipred earrings. Available in a variety of recognizable characters or objects, the earrings even come in a nifty box that looks like the video game system they’re from. 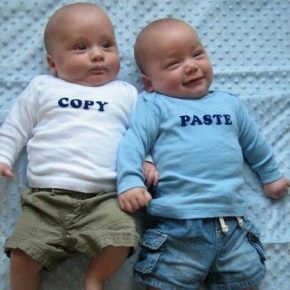 Dreams of creating exact duplicates through cloning can be exciting. However, many don’t realize that monozygotic, or identical, twins are the closest we’ve got to cloning (they have the exact same DNA). Even identical twins have distinct personalities, which goes to show how much your environment affects you. One can only imagine that real ninjas hang up their shōzoku by throwing some stars at the wall. 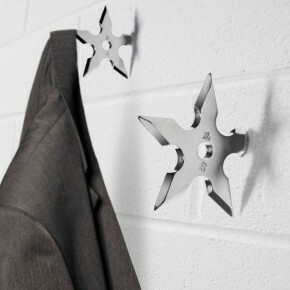 Now you can too, with these ninja star coat hooks! One tip is replaced with a screw, so you can easily insert it in to any spot on your wall. Each box comes with one super strong, nickel-plated zinc alloy star. If there’s anything Jurassic Park taught us, it’s that dinosaurs make great pets. 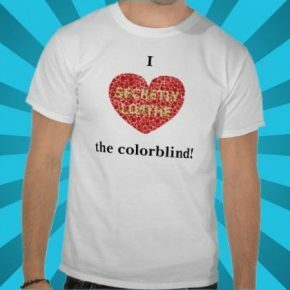 Until technology catches up with our desires, this shirt will have to do. 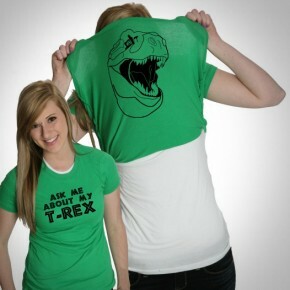 Simply flip this shirt around your head when anyone asks you the inevitable question, and be prepared for some laughs. It’s the snuggie for the outdoorsman! With this wearable sleeping bag, rated to 35 degrees F, the world is your bed. If you’re getting tired hiking the Appalacian Trail, just collapse and take a nap. It’s also great for folks that feel too confined in a regular sleeping bag. Let’s be honest: it’s not a walk in the park raising a baby. They cry for no reason, have no control over their bowels, and have a problem keeping food in their mouth and other things out. There is one advantage, though. 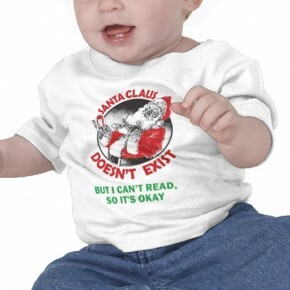 They can’t talk, and you can mock them for it with shirts like this. How is it that animals seem so much funnier when they’re wearing clothes? Why don’t people look funny wearing clothes? 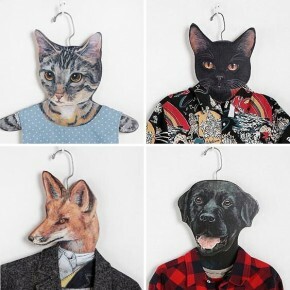 Anyways, these clothes hangers come in a variety of animal shapes and sizes, and will keep you inexplicably entertained every morning. Erase any conclusions you’ve drawn about socks. If you’re a writer or a bookworm, get the point across with these neat pencil socks. They’ll immediately sharpen your image, turning your feet into the most recognizable writing utensil. Puns are exhausting. 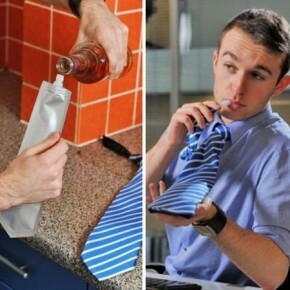 There’s nothing more damning to get that coworker with a drinking problem than this tie. Disguised as a run-of-the-mill variety, this tie has a flask hidden inside, so he can get a swig of Jim Beam during the morning meeting. Hey, it’s his fault for not inviting you to his party. Spectators always wonder about the guy on the Bluetooth headset. Is on a phone call, or is he just crazy? Well, there won’t be any doubt when you’re talking into your gloves. 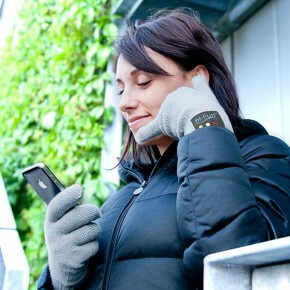 These nifty gloves have a microphone in the pinky finger and a speaker in the thumb, and sync with any Bluetooth-enabled phone. Nyan nyan nyan nyan nyan! 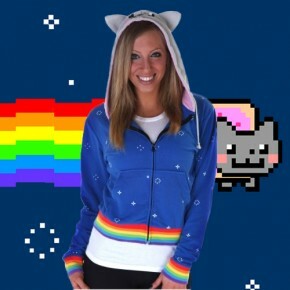 With this stylish nyan cat hoodie, you’ll look just like everyone’s favorite spacefaring, rainbow-trailing feline. Have yourself a poptart to complete the disguise. Nyan! 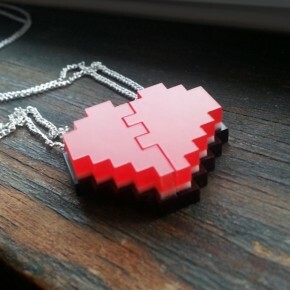 Tell your best friend you’ll always be their Player 2 with this pair of pixel heart friendship necklaces. Laser-cut from acrylic, the two half pieces connect together to form a full heart. Because sticking together is what good gamers do. Go for a literal interpretation when you give your heart to that someone special. 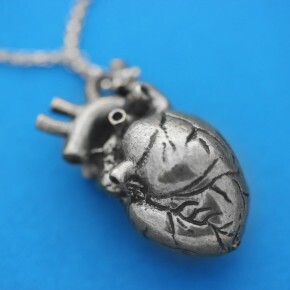 This beautifully crafted silver human heart necklace is as anatomically correct as it gets, and is a fun, albeit morbid, twist on a traditional heart necklace. Look, up in the sky! 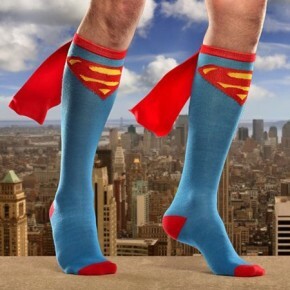 It’s a bird, it’s a plane, it’s…Superman socks. Donning little capes, these socks might not give you the powers of a Kryptonian, but they’ll make you stand out more than a mild-mannered newspaper reporter. Also available are caped Batman and Wonder Woman socks. There were a lot of visored helmets during the Medieval ages: the Sallet, the Burgonet, the close helm, the Armet, etc. Can you imagine swordighting a dude and barely being able to see? 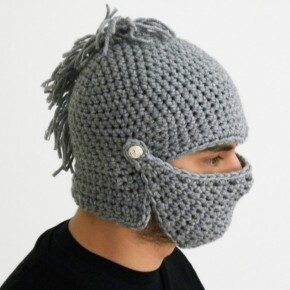 Anyway, this helm has a visor that can tilt up out of the way during milder weather. If you want your offspring to be the hero of Hyrule, the least you can do is have them dress the part. 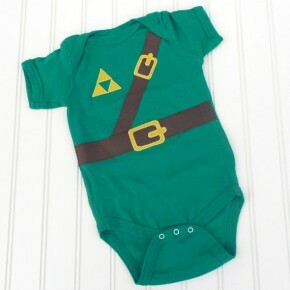 This fully cotton onesie is made to look just like Link’s standard outfit. Just don’t give them a sword until they’re a little older. May the hot water be with you. 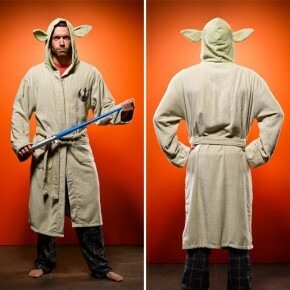 Wearing this 100% cotton robe, you will be a spitting image of Yoda. Or at least a Yoda that’s a few feet taller, looks like a human, and is wearing a Yoda bathrobe. Close enough. You’ll blend right in with the guy holding the “need cash for alcohol research” sign when you’re wearing this vagabond beard winter hat. 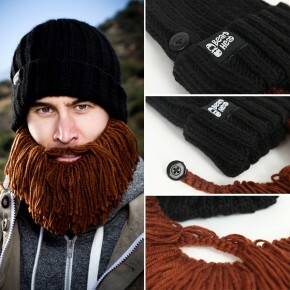 The beard itself is attached to the hat by two buttons, so you can detach it at any time if you need to slip back into normal society. But what really is “normal”, anyway? 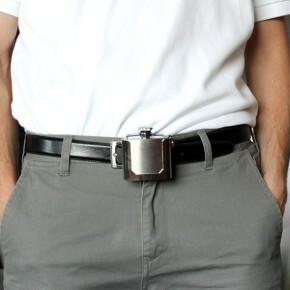 Say a defiant “screw you” to your drinking problem with this belt buckle flask. This baby attaches to your belt just like a regular belt buckle, and holds two ounces of that sweet, sweet nectar. 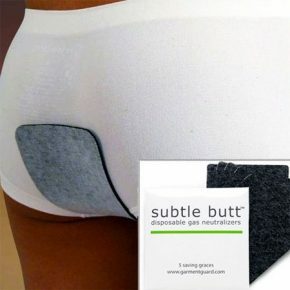 Great for sneaking a quickie into those pesky legally mandated AA meetings. Bottoms up! 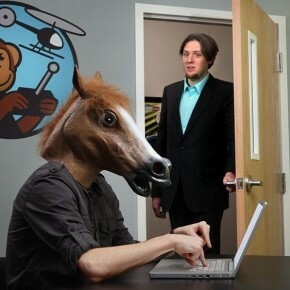 Ah yes, the infamous Horse Head Mask. It’s seen everywhere. It’s been spotted jogging in a hurricane. It’s been seen on Google Maps. And now those blank, staring, equine eyes can be yours. As they say, nobody cares who you are until you put on the mask. 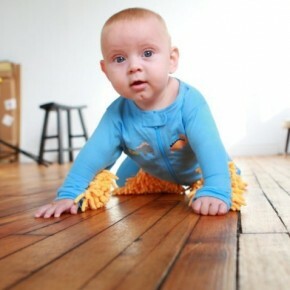 Cut down on the housework with a baby mop onesie. Not only will it teach your baby a strong work ethic early on in their life, but it will save you time so you can spend it doing things you enjoy. Like finding other ways to exploit your children. 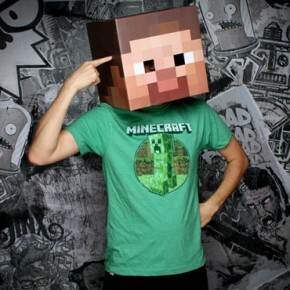 Lower the resolution of your face with a Minecraft mask. These officially licensed masks are a must-have for any Minecraft fans. Comes with both a Steve and Creeper mask, but they can also be purchased separately. Watch out for Endermen. 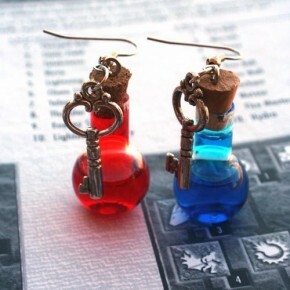 Get your nerd on with these health and mana potion earrings. Appearing in countless fantasy games, these potions are a universal symbol for restoring your vitality or magic power. These handmade earrings are made of glass with a sealed cork, and the earrings themselves are silver plated. Wearing these suitjamas is going to be legen…wait for it…dary! These high quality pajamas are 80% silk and 20% cotton, and feel great. 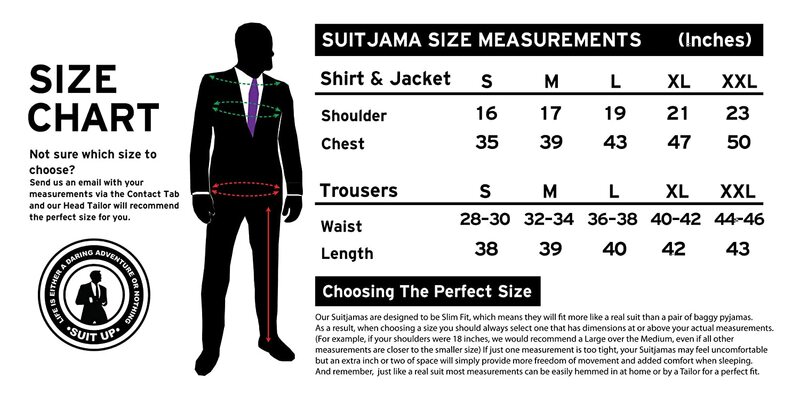 Make sure you check the sizing chart when ordering. 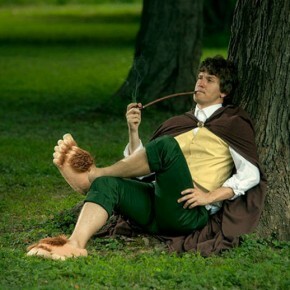 This is one pair of slippers to rule them all. 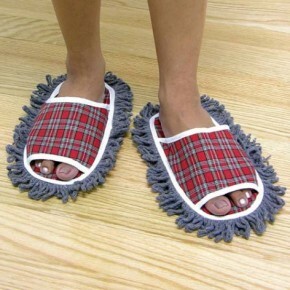 Put these babies on, and you’ll be ready for your trek to get an ice cream bar from the peak of the Misty Refrigerator. Or sink deep in the bowels of Mount…the Couch. 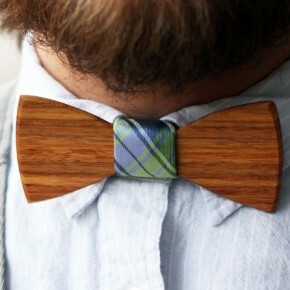 Go for a more au naturale look with these wooden bowties. Each tie is handcrafted from a variety of hardwoods with gorgeous finishes. You’ll stand out at any party, without the need to learn how to actually tie a bowtie.